NORDTEK, technical universities network, which up until recently was having members only from five Nordic countries, signed cooperation agreement with BALTECH. “Networking helps to expand mindset and to find new forms of cooperation”, says Peter Göranson, Secretary General of NORDTEK. On 12th October 2018 BALTECH representatives from Riga Technical University, TalTech University, Kaunas University of Technology and Vilnius Gediminas Technical University met together with Secretary General of network of the Rectors and Deans of the Technical Universities NORDTEK Mr. Peter Göranson to discuss future collaboration of the networks and process of BALTECH member universities joining NORDTEK. Furthermore, BALTECH members discussed future development of BALTECH network and expected changes due to joining NORDTEK network. There were many discussions about engineering education in Baltic States, as well about enhanced collaboration between universities. As concluded, BALTECH activities in the past, such as administrative staff, student meetings, as well as student and staff international mobilities to other member universities were highly beneficial and worthy to all of the involved parties. As mentioned before, in June 2018 NORDTEK President and BALTECH member university rectors acknowledged the importance and benefits of closer collaboration between Baltic and Nordic technical universities by signing a memorandum of understanding. As foreseen by the involved parties, this will encourage a closer cooperation in education, research and innovation fields promote joint European projects and contribute to a sustainable long-term collaboration for increasing competitiveness of Nordic-Baltic region in global higher education and research arena. Exclusive opportunity for NORDTEK universities to compete in the Venture Cup NORDTEK – a Nordic/Baltic Tech Battle 2018! 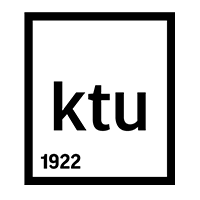 The Venture Cup NORDTEK 2018 is a joint collaboration between NORDTEK and Venture Cup Denmark, supported by Venture Cup Väst and Chalmers University. The competition aims to find the best tech startups amongst students at the NORDTEK member schools and will take place in Göteborg, Sweden, at Chalmers University on the 6th and 7th of December 2018. The finals of the Venture Cup NORDTEK 2018 is a two-days event with pitch training, networking, jury rounds and a grand awardshow! Application is open, and we hope to see at least one team from each NORDTEK university in the competition. The goal is to build a strong entrepreneurial network between the NORDTEK universities and to celebrate the best tech startups in Northern Europe. 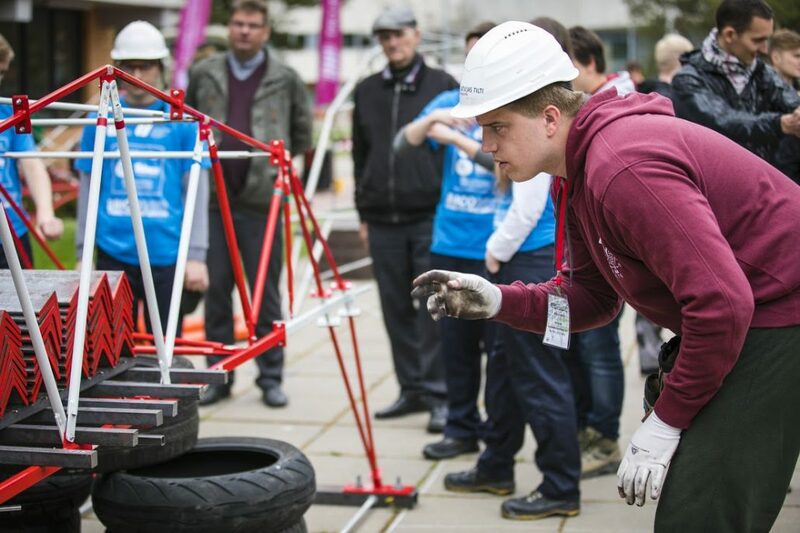 The competition is open for students at NORDTEK and BALTECH member schools. Teams should have a prototype, mockup or illustration of the product or functionality. Teams must be ready to travel to Göteborg, Sweden on December 6-7th. Networking with other tech startups. Day 2 – Semifinals + Final Award Show. The winner is announced at an entertaining award show with guest speakers and VIP guests. Each NORDTEK member university can nominate two teams, who will then be able to compete for the title as the Best NORDTEK University Startup. In exchange, we ask that a minimum of 2 team members attend the event and that the travel expenses and accommodation are covered by the university. Deadline for submission is November 5th at this link. For more info about Venture Cup and NORDTEK go to https://venturecup.dk/ or http://nordtek.net/. Students, academic staff and others can apply for short-term mobility scholarship to visit other BALTECH universities. It can involve study visits, conferences, seminars or workshops. The scholarship is given to mobilities lasting from 1 to 14 days and can cover expenses such as travelling, accommodation, daily expenses, participation fees etc. To apply for the scholarship, an application form must be filled in until 15th September 2018 (included). It is recommended to use the scholarship within October-December 2018, yet it is also possible to apply for other periods of time. More information can be found in the scholarship section of homepage. In June 2018, NORDTEK Conference took place in Riga Technical University, Latvia. The topic of the conference was «Changes in globalisation- challenges and opportunities for Nordic-Baltic higher education and research policy». Various excellent speakers shared their knowledge and expertise in fields such as life-long learning, digitalization, sustainable use and development of research infrastructure and globalization. 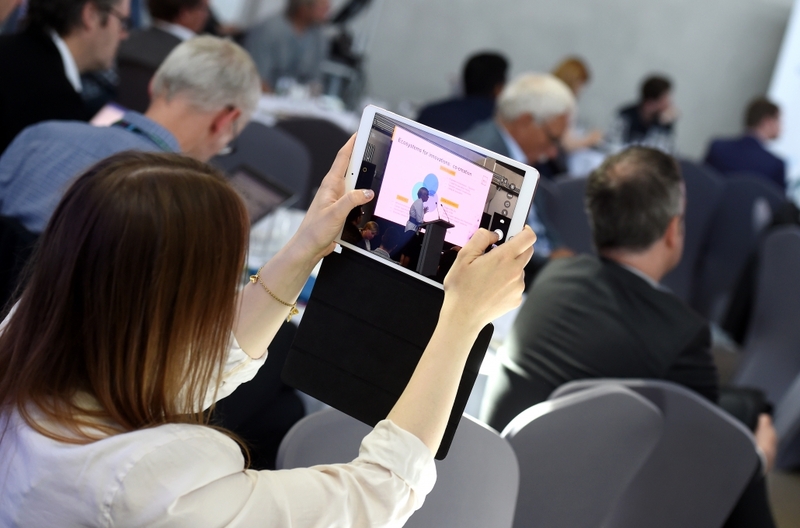 More than 100 people from higher education, research and industry sectors were able to participate, creating a great platform for networking and knowledge transfer. Discussed topics were relevant to all the involved stakeholders, thus meeting the expectations of conference participants. This NORDTEK Conference has also been special due to a decision of integration of BALTECH member universities- Riga Technical University, Tallinn University of Technology, Kaunas University of Technology and Vilnius Gediminas Technical University- into NORDTEK Network. 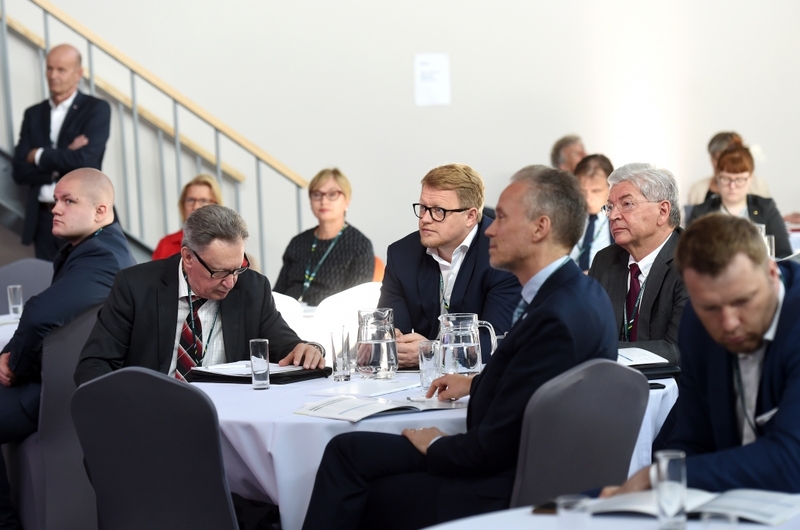 NORDTEK President and BALTECH member university rectors acknowledged the importance and benefits of closer collaboration between Baltic and Nordic technical universities by signing a memorandum of understanding. As foreseen by the involved parties, this will encourage a closer cooperation in education, research and innovation fields promote joint European projects and contribute to a sustainable long-term collaboration for increasing competitiveness of Nordic-Baltic region in global higher education and research arena. 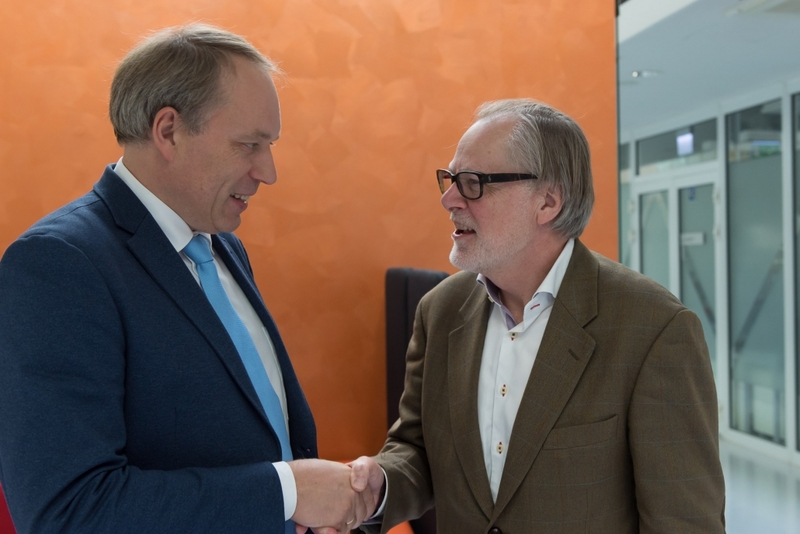 Recognizing the importance of involvement of collaboration partners outside of higher education sector, a cooperation agreement was signed between the Association of Nordic Engineers (ANE) and NORDTEK. The focus of this cooperation is modernisation of technical education to ensure the availability of high-quality graduates in STEM and access to lifelong learning opportunities for those already in the working life. Next NORDTEK Conference will be held in KTH Royal Institute of Technology in 2019 and the topic of it will be «Innovation meets research – how universities can increase impact through innovation». For more pictures, press here. Changes in Globalisation- Challenges and opportunities for Nordic/Baltic higher education and research policy. Conference will focus on globalisation challenges that higher education and research area is facing today, tackling questions regarding better management of university infrastructure, creation of sustainable life-long learning environment, increase borderless cooperation, as well as digitalization as a tool for more effective governance. 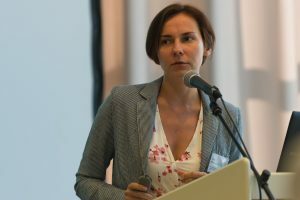 Outstanding speakers from various organisations such as European Commission, Technology Institute Denmark, NordForsk, EIR RAW materials Baltic Sea Innovation Hub and others will share their experience and best practices in infrastructure management, international cooperation and the outlook on how University 4.0 could look in the near future. During the event, round table discussions and other networking platforms will take place, giving the opportunity for the participants to get valuable contacts. Conference will close by a Gala dinner. 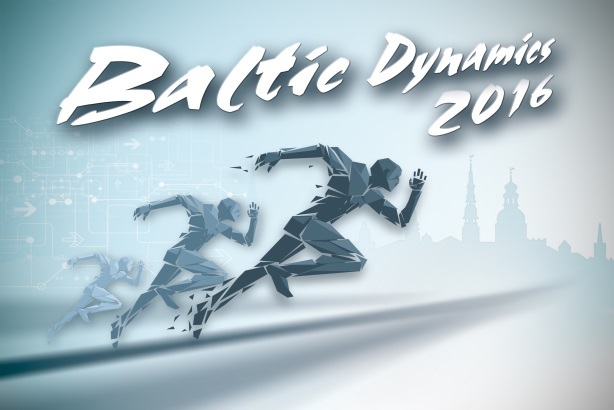 Additionally, during the welcome reception on 7th June, conference participants will also be able to attend a historical event when NORDTEK will welcome new member universities from Baltic states- Riga Technical University, Tallinn University of Technology, Kaunas University of Technology and Vilnius Gediminas Technical University. This will ensure further possibilities for cooperation on a Nordic- Baltic scale in research and higher education field. For more information about the NORDTEK conference, agenda and speakers, please, visit NORDTEK Conference 2018 homepage. To apply for the scholarship, an application form must be filled in until 15th March 2018 (included). It is recommended to use the scholarship within April-June 2018, yet it is also possible to apply for other periods of time. 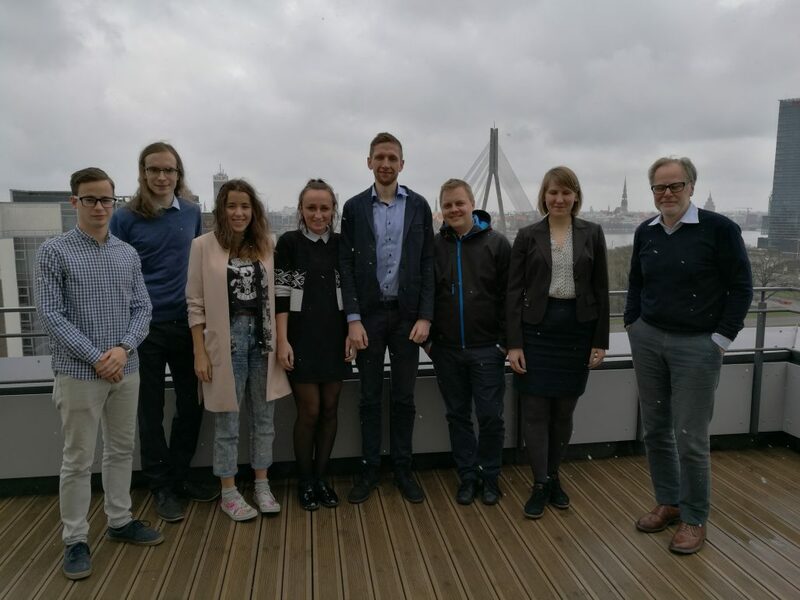 Representatives from student unions of Riga Technical University, Tallinn University of Technology, Vilnius Gediminas Technical University and Kaunas University of Technology met in Lithuania for an annual student meeting. 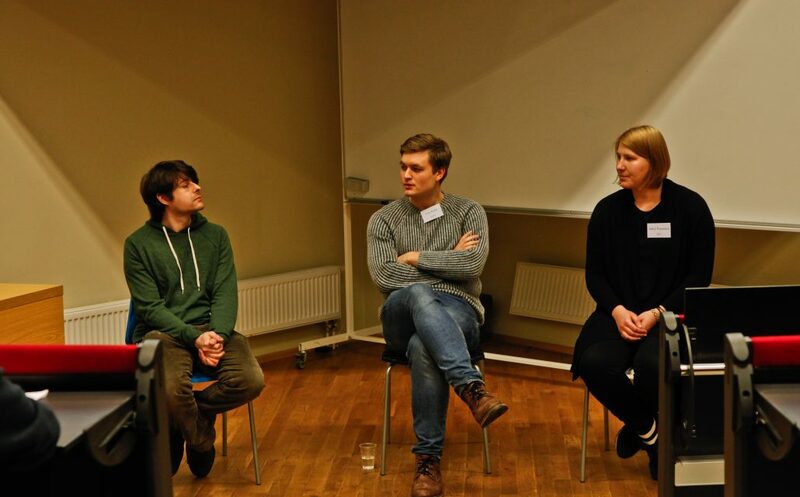 Meeting was organized by Student Union of Tallinn University of Technology. Topic for this meeting in 2018 was student union collaboration with industries and companies and the ways of better knowledge transfer. For student union representatives it is crucial to realize what are they possibilities to participate in this process and what is needed for all the involved stakeholders. Additionally, BALTECH students were discussing student union marketing and the changes that appear in this sector due to even more active use of social media, as well as possibilities for BALTECH and NORDTEK student co-operation possibilities and the changes expected to take place after NORDTEK Conference in June, when BALTECH members are going to be joining NORDTEK network and becoming its members. As usually, participants were glad that they had an opportunity to meet and discuss topics that are interesting for all students, in particular topics that are mostly relevant to student representatives from technical universities. 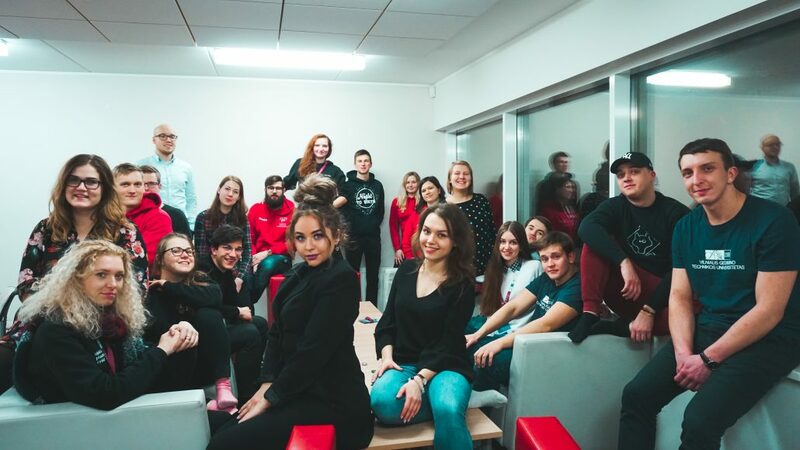 It has been decided that the next student union meeting will take place in Vilnius Gediminas Technical University in the beginning of 2019. 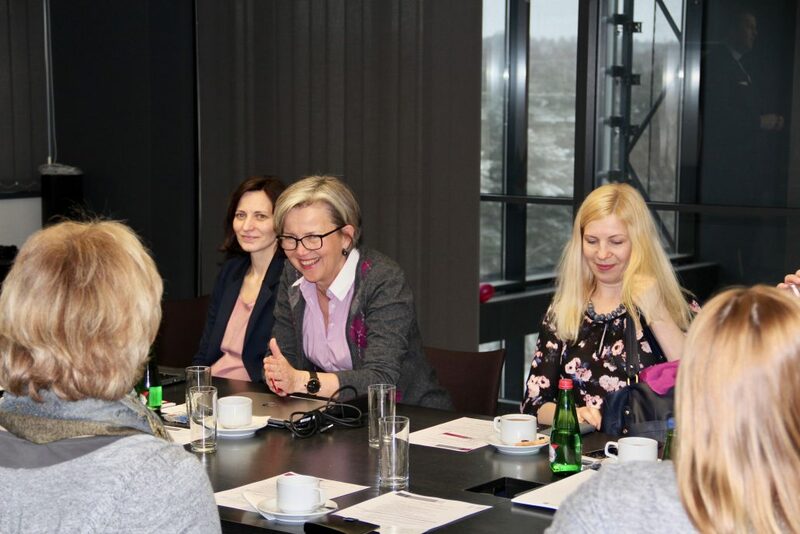 On February 1-2, BALTECH together with Tallinn University of Technology organized a BALTECH Administrative Staff meeting on human resource management in member universities of BALTECH. The main purpose of the meeting was to learn and share best practices on how to resolve questions regarding academic staff and their loads, possibilities for improvement and teaching and learning methods. Within the meeting, there were three workshops. 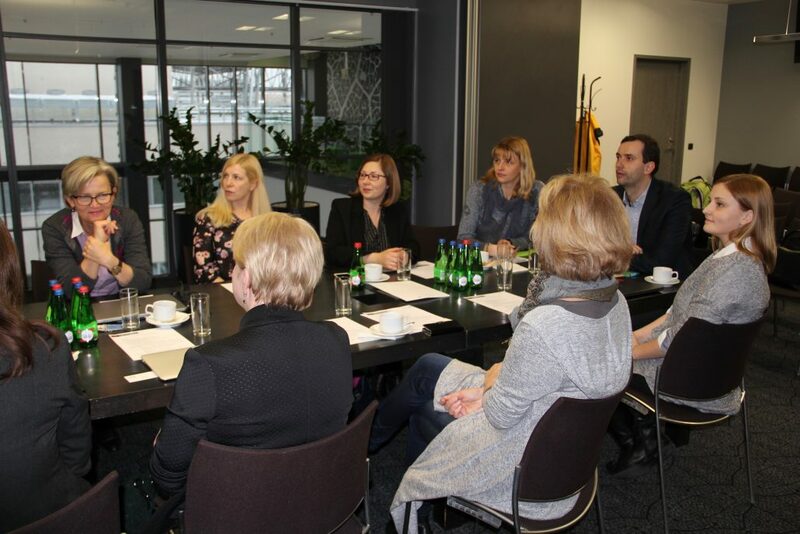 First workshop was held by Personell Office representatives of Tallinn University of Technology, sharing their experience in academic career management and their approach in tenure and lecturer’s career paths. The workshop included information about academic career model, their new academic career management regulation, evaluation criteria for academic staff that want to succeed in tenure career track, as well as an overview of database for CVs or staff members. Second session was dedicated to methodology of academic staff workload calculation and its implementation in academic information system, led by representatives of Kaunas University of Technology. They shared the practices in KTU for methodology and internal systems for calculation full-time-equivalent for academic staff, norms for scientific research activities and other practical things that come across human resource departments in universities. Dean from Vilnius Gediminas Technical University Faculty of Creative Industries Assoc. prof. Živile Sederevičiūte Pačiauskiene led third and final session. 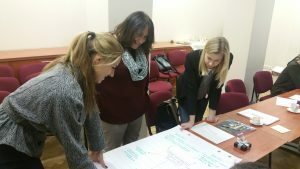 The topic for this workshop was support for life-long learning activities and tools for increasing pedagogical competences of academic staff in universities. It included information about all types of support for academics, starting from giving and introduction to activities held in university, and ending with practical things, such as help developing study course profile in Moodle environment. All the sessions were combined with discussions and Q&A sessions; therefore, all the participants could get the most benefit out of this seminar. 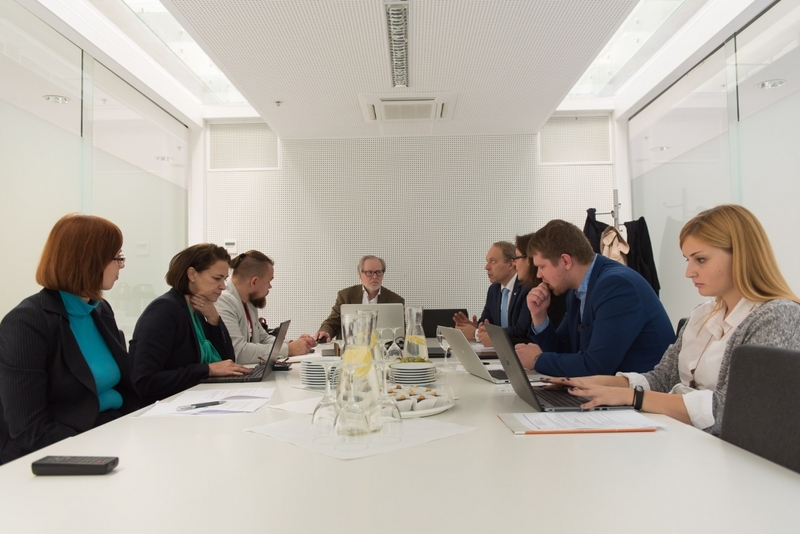 Participants in the meeting were from BALTECH member universities- Tallinn University of Technology, Riga Technical University, Kaunas University of Technology and Vilnius Gediminas Technical University. Administrative meeting of BALTECH is held annually, on the topic that is binding for all the member universities. To apply for the scholarship, an application form must be filled in until 15th December 2017 (included). It is recommended to use the scholarship within January-March 2018, yet it is also possible to apply for other periods of time. 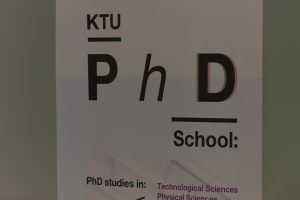 Kaunas University of Technology organises the 3rd International PhD Summer School, aimed at the development of transferable skills. Where? At the seaside resort Palanga. – share a friendly social environment, and an exciting time at the seaside resort Palanga. Prerequisites. The summer school is held in English. In order to participate, doctoral students should have sufficient language skills. Group size: 50 doctoral students. * a certificate of participation including 2.0 ECTS credits. More information in KTU Summer School homepage. To apply for the scholarship, an application form must be filled in until 15th September 2017 (included). It is recommended to use the scholarship within October-December, yet it is also possible to apply for other periods of time. 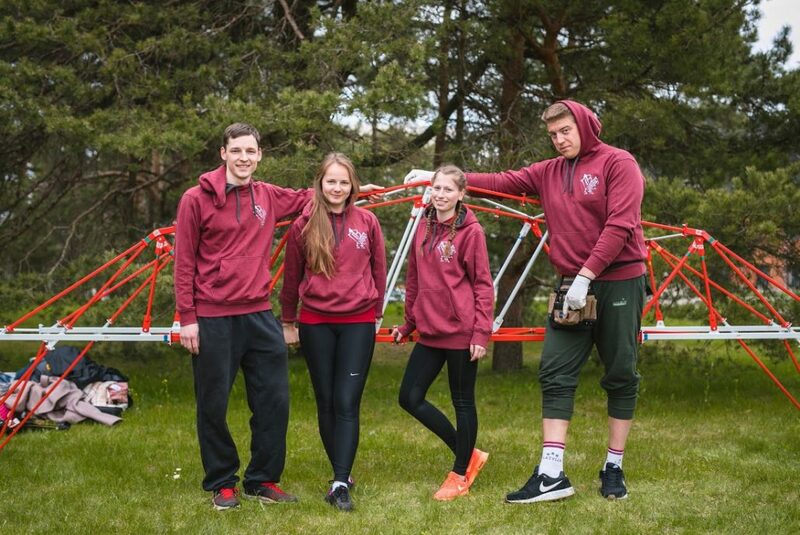 BALTECH Executive office has received a very warm gratitude from RTU students who with the help of BALTECH Scholarship were able to participate in an engineering competition in Tallinn. For those who have not used the scholarship possibility yet, the next deadline for submission of applications is 15th of September. More detailed information about applications and evaluation is available in homepage section “Scholarships”. Below is the gratitude letter from our former applicants. Many months ago students of Faculty of Civil Engineering from Riga Technical University (RTU FCE) heard rumors about big construction project called BRICO and decided to apply their knowledge of construction and stability in real life. BRICO 2017 is an international 5-day competition in Tallinn, Estonia for students studying civil engineering, transportation engineering and mechanical engineering in which teams of four students have to model, make and later mount a steel bridge. BRICO 2017 held on 15th to 19th of May in 2017. The competition was a great opportunity for students to test their designing skills and use the theory of constructions which they have learnt during their studies. Within five days in Estonia a lot of different social and cultural events were planned as well. BRICO actually is not so cheap project to participate in – steel bridge producing, some pocket money and travel costs altogether made huge expenses. That is why we decided to write an application letter for BALTECH scholarship to cover the travel costs and some extra money in Tallinn. What did we do in BRICO? Overall we designed a bridge (about 15 options were developed) , assembled it at least 7 times, made a poster for design competition, bought equipment for assembling (gloves, nuts, bolts, helmets), made t-shirts to represent our team, didn’t sleep etc. 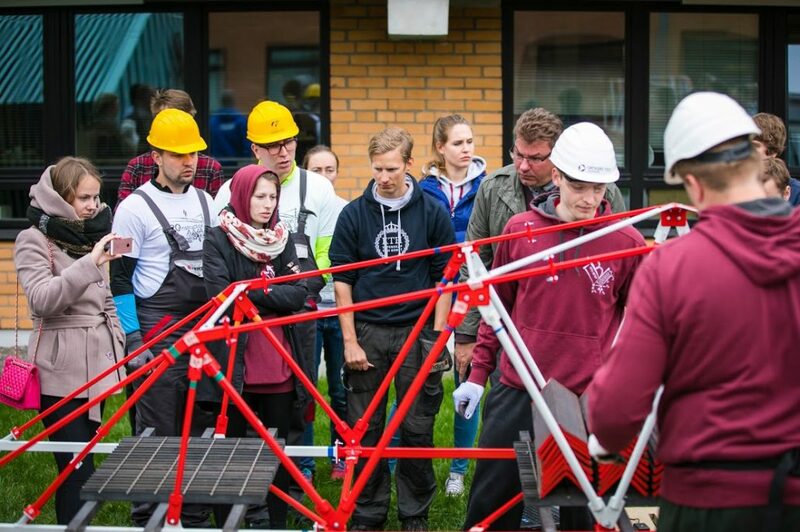 However, the most important – we actually went there, met many engineering students who actually can make things happen in real life and got a huge inspiration to continue designing different constructions. Our suggestion for students who are thinking about going to a conference, competition or any kind of exchanging knowledge – remember about BALTECH! It’s a great support for students who want to test their skills internationally, meet new people abroad and establish contacts all over the world. Biggest thanks to BALTECH consortium once more for giving us the opportunity to enter this huge adventure! To apply for the scholarship, an application form must be filled in until 15th June 2017 (included). It is recommended to use the scholarship within July-September, yet it is also possible to apply for other periods of time. Applications for scholarship are open until 15th of June, and the scholarship can be used in July-September 2016.More information can be found in the scholarship section of homepage. Students from Aalto University and University of Southern Denmark, including NORDTEK student president Per Breum were visiting Riga Technical University from 14th to 16th of April. Discussed topics were student knowledge exchange and possible platforms to do that, publicity of NORDTEK network amongst students that are not involved in student representation bodies and topics that have to be discussed in student meeting in Finland. Representatives from Erasmus Student Network Latvia were also invited for sharing their experience with working with student representatives internationally. Furthermore, Mr. Peter Göranson, Secretary General of NORDTEK joined for the main meeting day to give an update on NORDTEK activities and possible student involvement. NORDTEK conference pre-meeting for students is usually held in the next year’s host country and since the NORDTEK-BALTECH joint Conference is going to take place in Riga in 2018, student pre-meeting was hosted by Riga Technical University Student Parliament and BALTECH. For more information about NORDEK Conference 2017, please, visit the official homepage of the conference. On 15th March first call for BALTECH Scholarships in 2017 ended, and BALTECH Executive Office received a lot of applications from students, academic and administrative staff members that are willing to get involved in short-term mobilities abroad. Total of 29 applications were received. After careful consideration and evaluation of purposes of the mobilities and destinations, 10 mobilities were approved. The applicants will receive funding for travelling expenses, accommodation, participation fees in the events (if needed) and other purposes. BALTECH Board strongly supports cooperation between BALTECH member universities, therefore all of the approved destinations are within BALTECH network- Riga Technical University, Tallinn University of Technology, KTH Royal Institute of Technology and Lund University. Next mobility call for BALTECH short-term mobility scholarships will end on 15th June. The scholarship can be mainly used in July, August or September or any other time to allow participants plan ahead of time. More information about scholarships, criteria and application form is available here. NORDTEK and Aalto University welcomes you to the NORDTEK conference held at Aalto University Finland the 16 June 2017! The conference focuses on “Engineers for the future Society: Do we educate game changers for the grand challenges?” The programme discusses game changing themes, such as the Design Factory concept and student driven Europe’s leading start-up event SLUSH. Keynote speakers include, e.g., Finnish Minister of Education and Culture and former U.S. Ambassador to Finland. 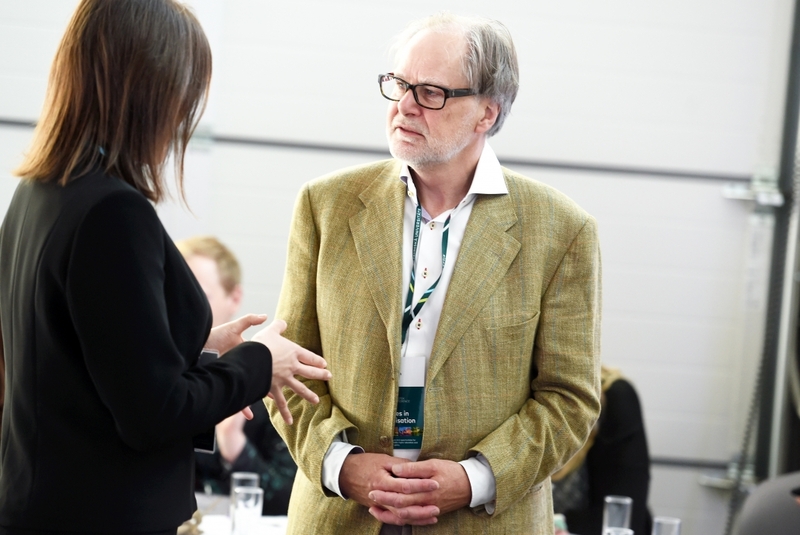 During networking events and workshops around mutual topics, you can participate in the Round Table discussions. 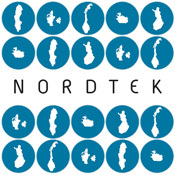 The NORDTEK conference brings together the Technical Universities and Engineering Faculties in the Nordic countries, their collaboration partners in industry and other stakeholders to discuss topics of mutual interest. Kaunas University of Technology will hold the 2nd International PhD Summer School, dedicated to development of transferable skills in August 21-25, 2017 at seaside resort Palanga, Lithuania. Doctoral students with strong intellectual curiosity will have an opportunity for exploration and cultural enrichment. Over the course of three days, 3 topics will be covered: scientific writing, project management for PhD students and research data management planning and tools. Application deadline at 15 May, 2017. For more information, read the information leaflet or visit summer school web-page. • virtualisation and cloud computing. For additional information about benefits and requirements for this position, you can read additional information here. Kaunas University of Technology cordially invites teaching staff from our partner universities to join us for a 5-day programme of International Staff Week “Teaching in English in Non-English Speaking University”. Goal of the project is to share the experience, tips and tricks of teaching in English. Target group is expected to be teachers who deliver degree programmes through the medium of English. Duration of the event is 5 days (24 – 28 April 2017). To apply for International Staff Training Week, please fill in the online application. Application deadline is 1 March 2017. Selected applicants will be informed by 8 March at the latest. They will receive all relevant information and guidelines. Participation in the Staff Week is free of charge. The participants are expected to cover their travel and hotel costs themselves or using “Erasmus+” funding provided by their home university. For the program of the event, please, click here. Students and academic staff of BALTECH member universities (Kaunas University of Technology, Linköping Institute of Technology, Riga Technical University, Royal Institute of Technology; Tallinn Technical University and Vilnius Gediminas Technical University) can apply for short-term mobility scholarship to visit other BALTECH universities. It can involve study visits, research activity, trainings, conferences, seminars or workshops. The scholarship is given to mobilities lasting from 1 to 14 days and can cover expenses such as travelling, accommodation, daily expenses etc. To apply for the scholarship, application form must be filled in the link http://bit.ly/2ljRBHI Applications for scholarship are open until 15th of March, and the scholarship can be used in April, May and June 2017. 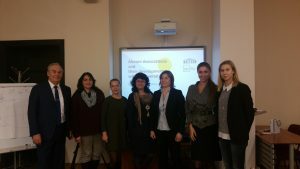 With the help of BALTECH on 10th November in Kaunas University of Technology was organized a meeting on the topic “Alumni associations and their development within universities”. In the meeting, leaders of alumni organizations of BALTECH universities had the chance to gather information about other organizations, learn about best examples in attraction of members and share the experience. Within the meeting, there were two workshops. First workshop was a short overview on each Alumni association where each delegate gave a presentation on their organization, including parts such as the structure, events, alumni engagement techniques, their segmentation and development of the organization over the years. Presentations where then followed by a Skype presentation from Daniel Cohen. He introduced a platform graduway.com which is widely used by other universities and alumni associations in the world. Second workshop was on making a valuable proposal for Alumni, leaded by Prof. Robertas Jucevičius from KTU School of Economics and Business. The perspective of workshop was to look at the usual Alumni engagement and attraction events and processes from a business perspective, looking into benefits and gains of university and Alumni. Participants where then divided into teams to discuss this matter. Participants in the meeting were from BALTECH member universities- Tallinn University of Technology, Riga Technical University, Kaunas University of Technology and Vilnius Gediminas Technical University, as well as from other Lithuanian universities- Vilnius University, Klaipeda University and Lithuanian Sports University. Administrative meeting of BALTECH is held annually, on the topic that is binding for all the member universities. 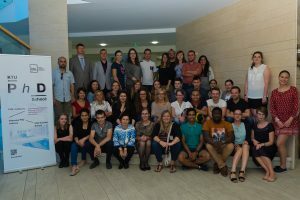 Representatives from student unions of Riga Technical University, Tallinn University of Technology, Vilnius Gediminas Technical University and Kaunas University of Technology met in Lithuania for an annual student meeting. 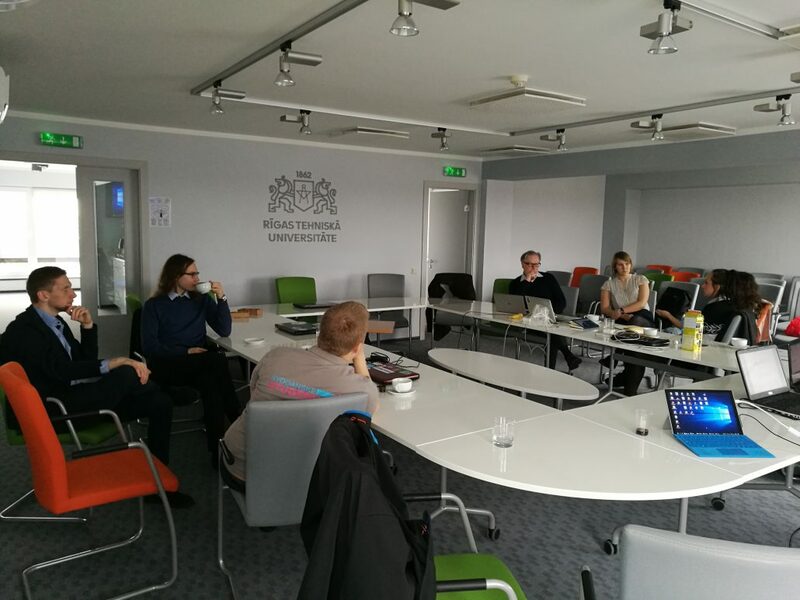 Meeting was organized by Kaunas University of Technology Student Union. This year student representatives were discussing student feedback systems and compared the existing examples in their institutions. In workshops students had the chance to come up with their own projects and ideas on perfect student feedback schemes. Other main topic for student meeting was BALTECH Student body and its Statutes. 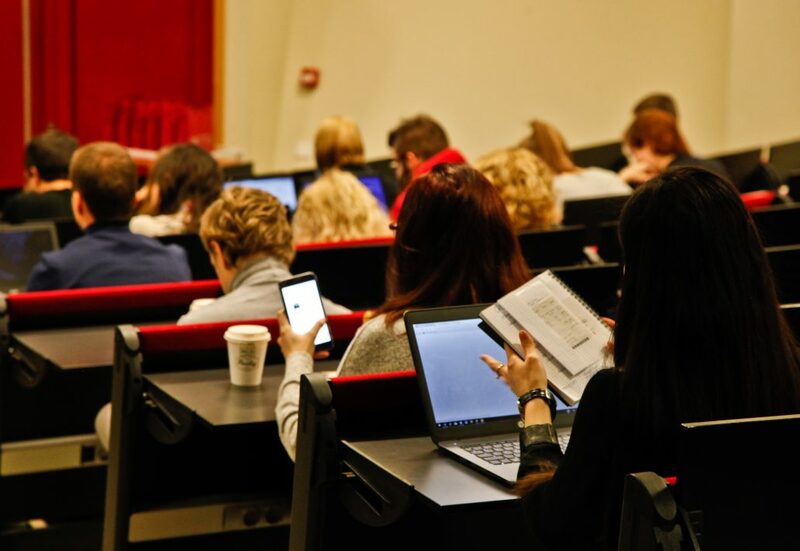 The desire for Student Statutes came from Nordtek meeting in Odense, Denmark this year, where student representatives were also working on their legislative documents. 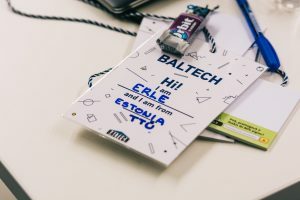 An idea that appeared during the discussions in Kaunas was for each Student union to possibly have a BALTECH Ambassador in each Student union that would be responsible for disseminating the information about scholarships, new projects and possibilities for students of technical universities in Baltic States. This would make the network would be more visible and understandable to students. Statutes are currently under consideration and drafted and soon will be again upon discussion amongst BALTECH student unions. Participants were glad to have this opportunity to meet face-to-face, expressing the hope that they will be able to meet more than once a year. This would apply not only to the central student bodies, but also to student unions of faculties which could meet specifically for engineering projects between different states. The next meeting will be held in Tallinn University of Technology in 2017, after that- in Vilnius Gediminas Technical University in 2018. Students and staff members can apply for short-term mobility scholarship. Scholarship can cover expenses for various purposes, starting from research activity in other BALTECH university to conferences and symposiums. The scholarship can be used for travelling, accommodation, participation fees etc. Furthermore, for each day spent in mobility, daily allowance can also be granted, which is 29 EUR/day for Baltic countries and 40 EUR/day for Sweden (other countries are also available, but the amount of money per day should be consulted with BALTECH Executive office). Length of mobility should vary from 1 to 14 days. Applications are open until 15th September, and can be used any time after that. Do not miss your chance to broader your experience and apply! More information in Kaunas University of Technology webpage. Baltic Association of Science/Technology Parks and Innovation Centers – BASTIC, Latvian Association of Technology Parks, Centers and Business Incubators – LTICA and Latvian Technological Center – LTC invite you to share your experience and participate on the biggest event on innovation in the Baltic States this year, September 15-16 in Riga, Latvia. Please put on your calendars these dates and consider your participation. Everybody is welcomed and the Conference Organizers will do their best to make your stay in Riga attractive and useful for your professional career. Don’t miss opportunity to meet innovation professionals from many countries, listen top level key-note speakers from European Commission, International Associations, USA and Japan and many others from more than 20 countries. Students, academic staff and others can apply for short-term mobility scholarship to visit other BALTECH universities. It can involve study visits, conferences, seminars or workshops. The scholarship is given to mobilities lasting from 1 to 14 days and can cover expenses such as travelling, accommodation, daily expenses etc. To apply for the scholarship, application form must be filled in and handed to BALTECH Secretariat (e-mail: info@baltech.info) or International Relations Offices at any of the BALTECH universities (Lund University, KTH Royal Institute of Technology, Linkoping University, Tallinn University of Technology, Riga Technical University, Kaunas University of Technology or Vilnius Gediminas Technical University). Applications for scholarship are open until 15th of June, and the scholarship can be used in July-September 2016. NORDTEK Entrepreneurship Summer School will take place in University of Southern Denmark, Odens from June 6th to June 10th. To this Summer School are invited all students. BALTECH Board meeting will start at 13:30– Venue: (13th floor) at the Campus House, Campusvej 1 // 5230 OdenseM. The technical universities in Northern Europe have strong traditions for collaborating with industry. This collaboration spans joint research, education and innovation. The NORDTEK conference 2016 aims to explore the effects of this collaboration. The participants will identify best practices and discuss how the collaboration should evolve to maximise societal benefit. The objective of the conference will be to identify which joint steps to take and which changes should be implemented to ensure that technical universities optimally in securing competitive and job creating industrial production in high wage economies. The Sustainable Development Solutions Network (SDSN) was established in 2012 under the auspices of UN Secretary-General Ban Ki-moon in support of the objectives of the SDGs. It is a global multi stakeholder network that aims to identify and share the best pathways to sustainable development and to find innovative and applicable solutions. The seminar will gather leading northern European and international researchers from diverse disciplines to share ideas and research on transformations to sustainability. The goal of the event is to come to a better understanding of the opportunities SDSN NE creates for science as a key driver in the implementation of the Sustainable Development Goals (SDGs). By critically examining solutions, practices, gaps and conditions for large-scale transformations to sustainability, focus will be on creating a shared understanding of the SDGs and a common set of goals for the work forward. The event will also allow Nordic universities to present their own work for sustainability and how they aim to work towards the success of the SDGs. The SDSN NE is working to include all interested stakeholders to take part in a joint framework for science-based transformations to sustainability. Bachelor, Master and PhD students, as well as teaching staff, from Kaunas University of Technology; Linköping Institute of Technology; Lund University; Riga Technical University; Royal Institute of Technology; Tallinn Technical University; Vilnius Gediminas Technical University students can apply for BALTECH mobility scholarship. You can apply for scholarship if you are Bachelor (min second year), Master and PhD and teacher at any of the BALTECH universities within any study field offered by the university. Application form should be handed to BALTECH Secretariat (e-mail: info@baltech.info) or International Relations Offices at any of the BALTECH universities. For scholarship you can apply until 15th of March. 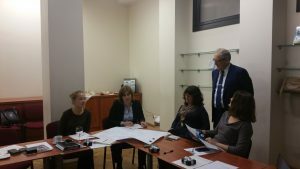 On 15. of January 2016 in Riga Tehnical University was held Baltic tehnical University consortium “BALTECH”, which was attended by Rigas Technical University Vice-Rector for Academic Affairs Uldis Sukovskis and Director of the Study Department Ilze Birzniece, Kaunas University of Technology Vice-Rector for International relations and development Sigitas Stanys and Director of Studies Department Kristina Ukvalbergiene, Tallinn University of Technology Vice-Rector for Academic Affairs Jakob Kübarsepp and Vilnius Gediminas University of Technology Vice-Rector for International Relations Asta Radzeviciene. “BALTECH” main objective was universities, exchange of experience in the field of double and joint degree study program and discuss potential study program fields cooperation opportunities. 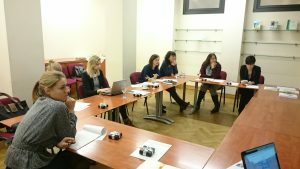 From 30th October to 1st November 2015 BALTECH, in cooperation with Riga Technical University Students parliament, held a meeting between all student unions of technical universities in Baltic States- Tallinn University of Technology, Riga Technical University, Kaunas University of Technology and Vilnius Gediminas Technical University Student Unions. Representatives met for two main purposes. Firstly, students compared the situation in terms of rising numbers of international students and issues regarding this- lack of English knowledge, translation of infrastructure, integration problems and many more. Good examples were shared in between unions of what can students do in order to ease everyday lives of foreign students. As it was concluded in feedback, these ideas motivated students to develop this topic and make it more significant in the viewpoint of university administration. Secondly, the future of BALTECH was discussed. Students of RTU, VGTU, KTU and TTU expressed their opinions on what should be done within BALTECH regarding student activity. 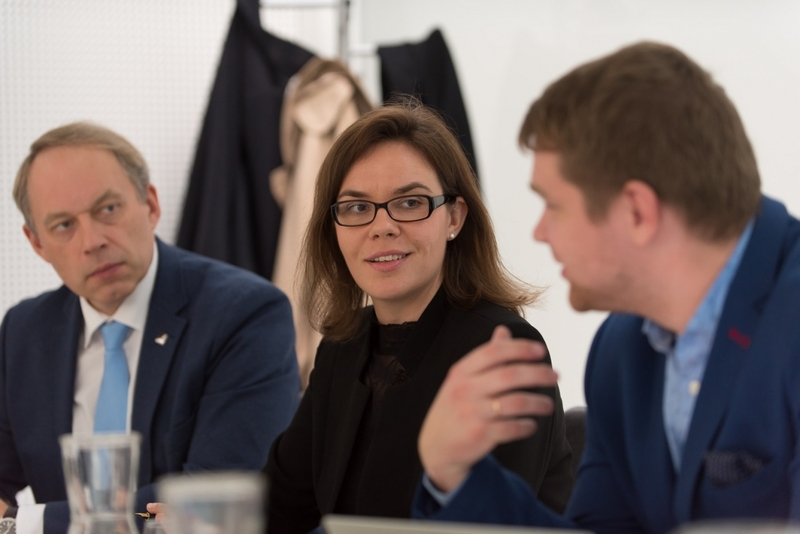 Main points included increased mobility between technical universities of Baltic States, project funds, scholarships, engineering competitions and, of course, funds for student meeting every year. Main idea of student meetings could be working on a specific topic and creating a policy paper about it. As concluded in the brainstorm, the topic could be input from rectors of universities. 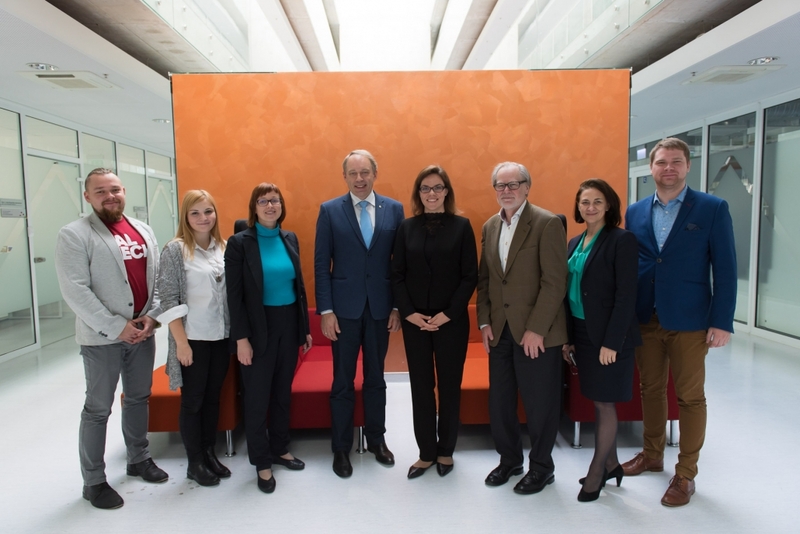 On 24. of September 2015 in Riga Tehnical University was held Baltic tehnical University consortium “BALTECH”, which was attended by Rigas Technical University Project Financial Management Deputy Head of Unit Laura Vītola and the Financial Planning and Management Department Director Uģis Mālmanis, Senior officer at Ministry of Education and Science of the Republic of Latvia Reinis Lasmanis, Kaunas University of technology Head of Financial Control Group Ingrida Abromavičiūtė and Head of Financial Planning and Analysis Group Gintarė Aleksandravičienė, Tallinn University of Technology Financial analyst Marju Saarmets and Vilnius Gediminas Technical University Head of Financial Department Romualdas Česnavičius. “BALTECH” main objective was universities, exchange of experience in the field of financial management and the existing financial situation analysis of the partner University’s. 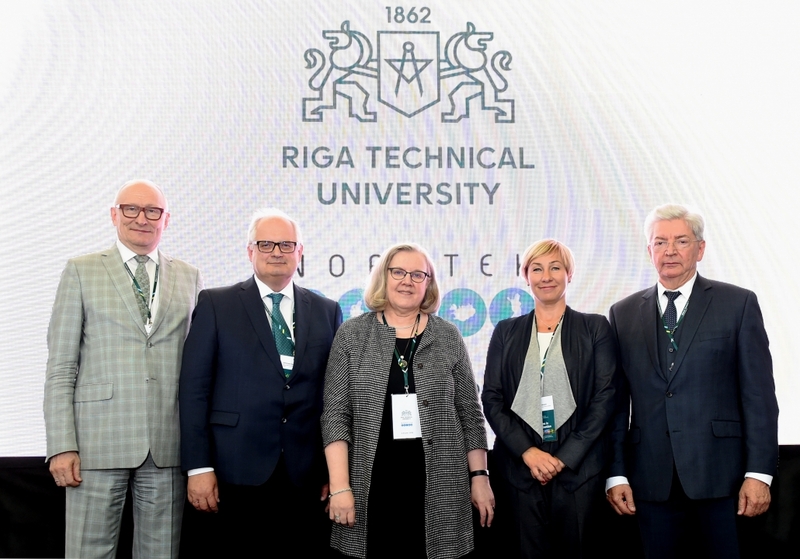 From September 2015, Riga Technical University become the Baltic sea technical Universities consortium “BALTECH “ presidency University, thereby taking the lead in promoting closer cooperation between innovation and technology transfer between technical University in the region. 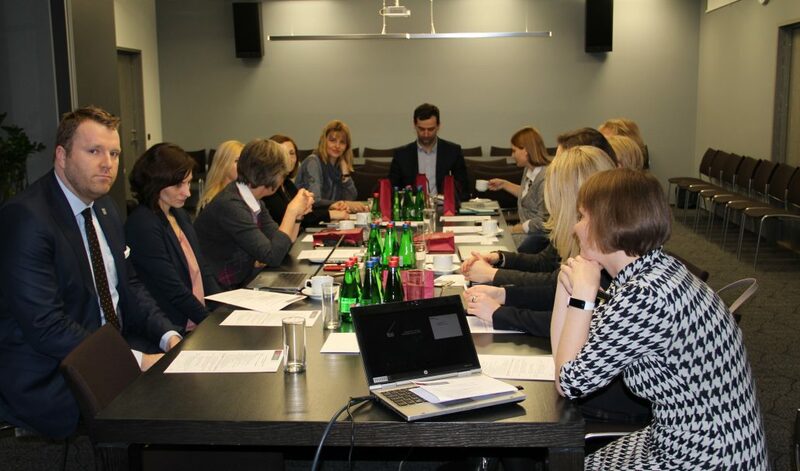 One of the consortium’s main tasks is to strengthen the Nordic and Baltic countries cooperation between legislative initiatives and implementation in order to promote joint study programs. The Executive Director of consortium is Juris Iljins. The BALTECH Secretariat will be transferred to Riga Technical University by September 1, 2015. The transfer will be gradual and will be completed by January 1, 2016. The 2015 NORDTEK Conference will be hosted by the University of Iceland, Reykjavik, June 11-13. The topic is “Innovation and University Research”. BALTECH universities are invited to participate. Detailed information and a registration form can be found on www.nordtek2015.hi.is. The 2015 BALTECH Board (ex Rectors’) meeting will also take place in Reykjavik, on June 10. Based on the changes of the BALTECH statutes, the Rector’s meeting has been replaced by a Board meeting.